Better late than never: Just wishing you all happy & safe holidays! We are working behind the scenes to get our service up and running. 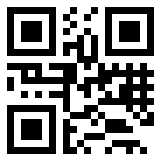 For now we upgraded the website, re-designed it and worked on the QR Code generator. Pretty crazy stuff: MotionPortrait takes one photo and instantly transforms it into a fully realized 3D model that can be animated, placed into another 3D environment, synced with sound, and programmed to respond to various user input. This is the brand new Viooli Blog. What does Viooli stand for? Hmmm…good question. What will happen on Viooli.com? It’s kind of a secret, but check for updates later.